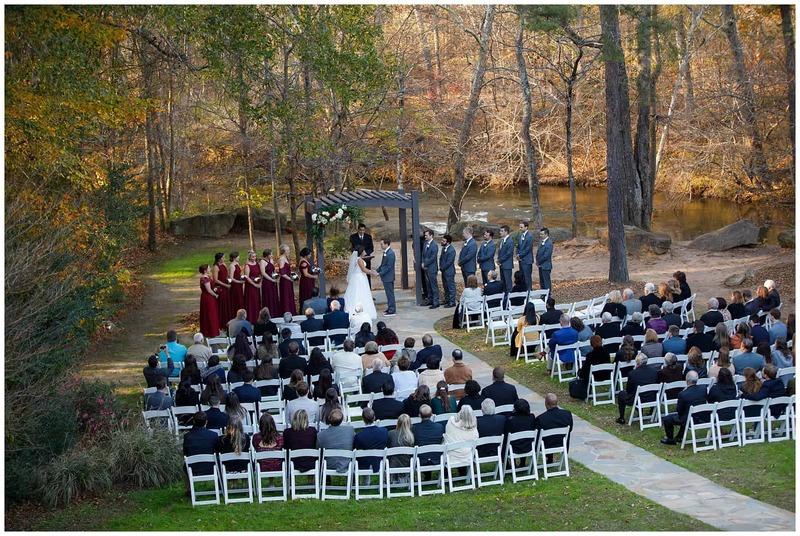 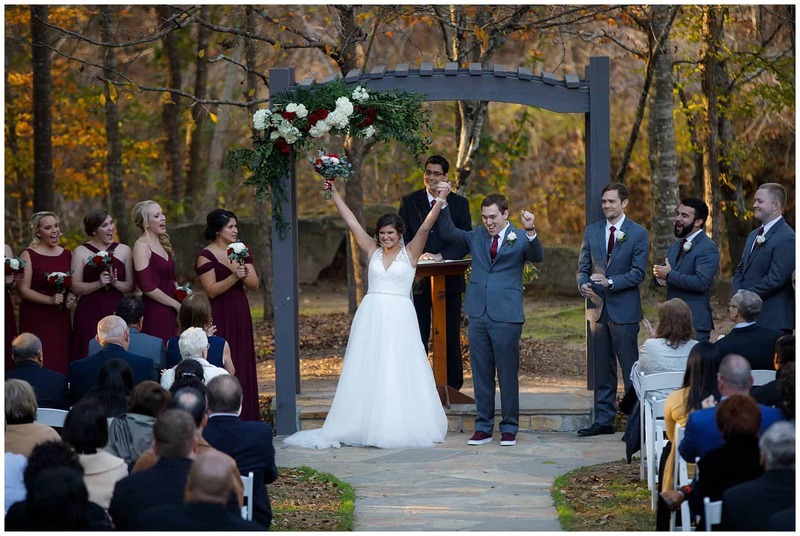 Carly and Mark had a beautiful outdoor ceremony down by the Yellow River. 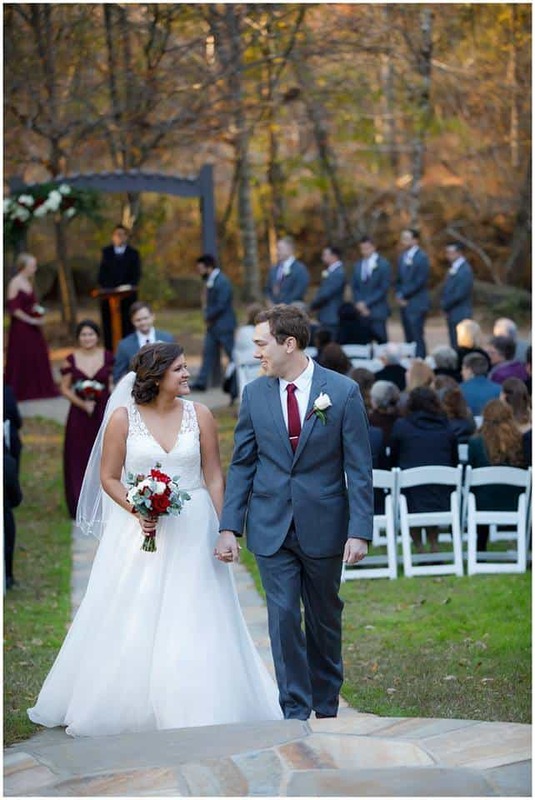 We had gorgeous weather this past November and the pictures certainly show it! 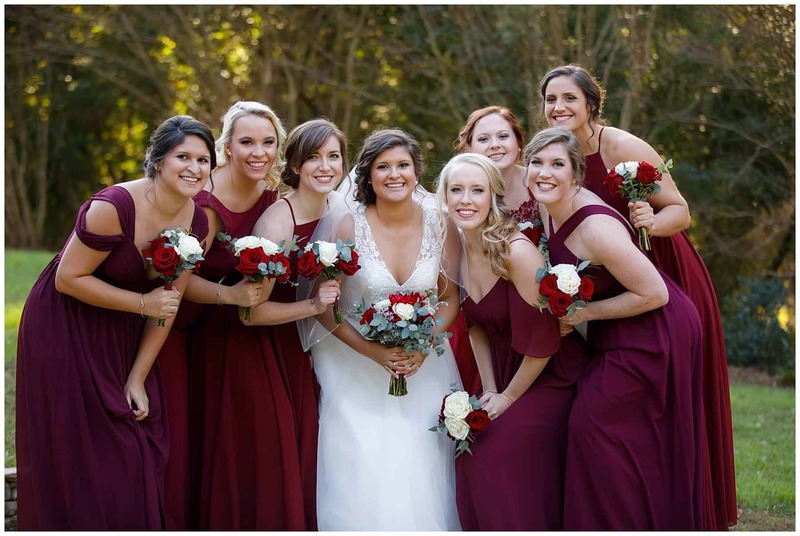 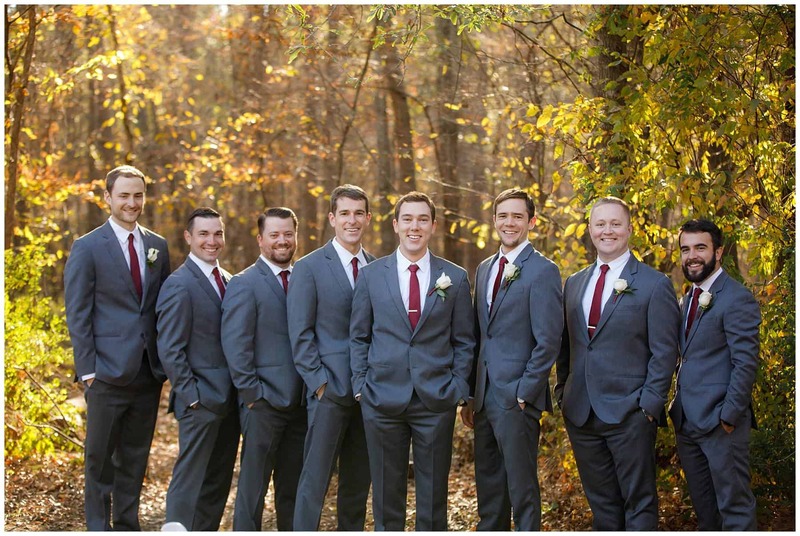 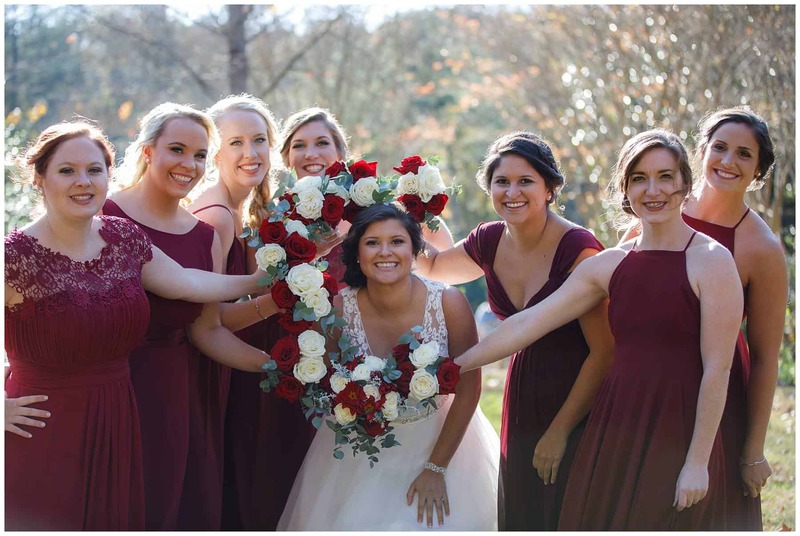 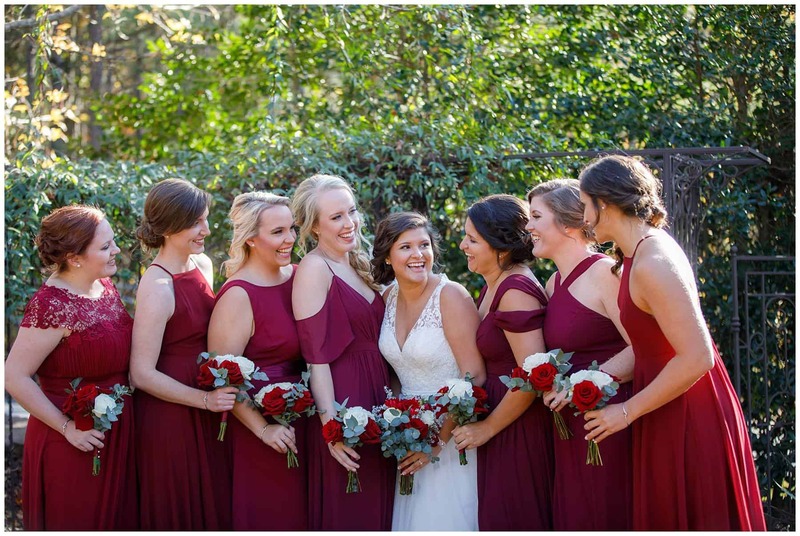 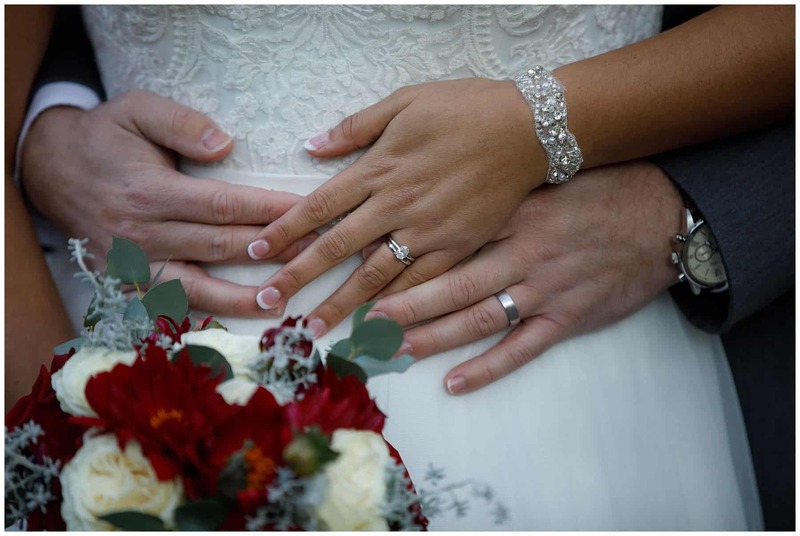 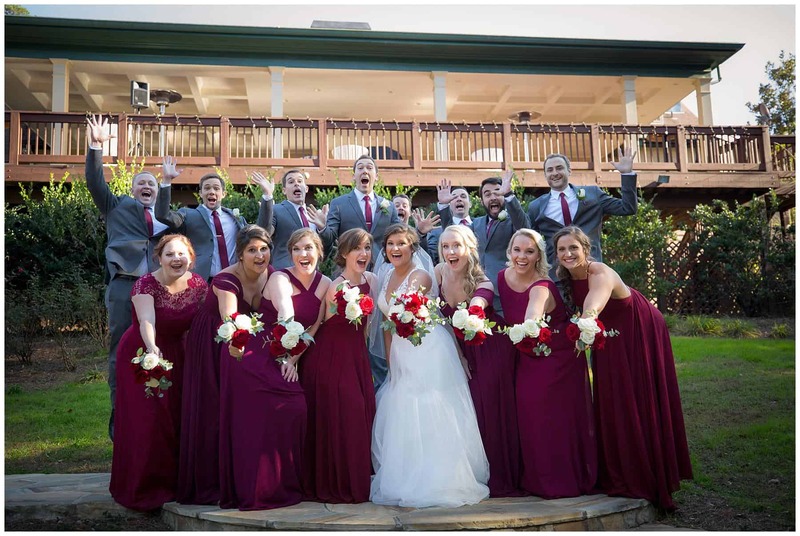 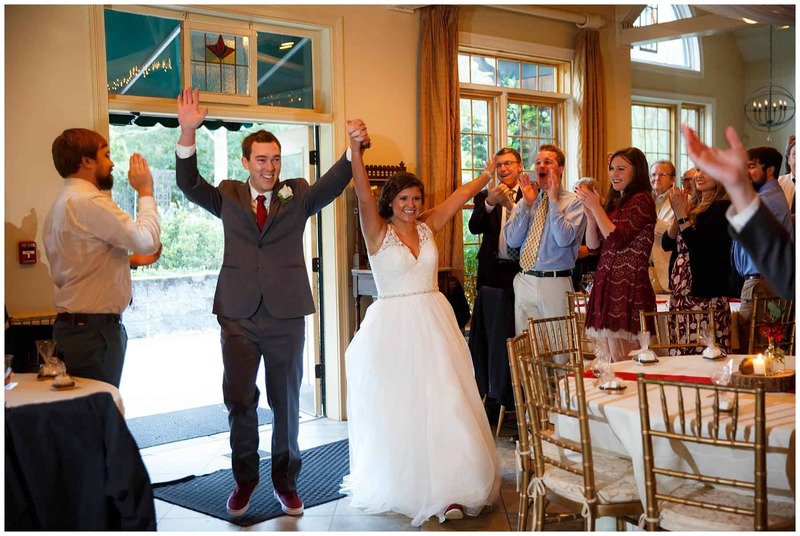 We loved this gray and burgundy theme that the bridesmaids and groomsmen wore. 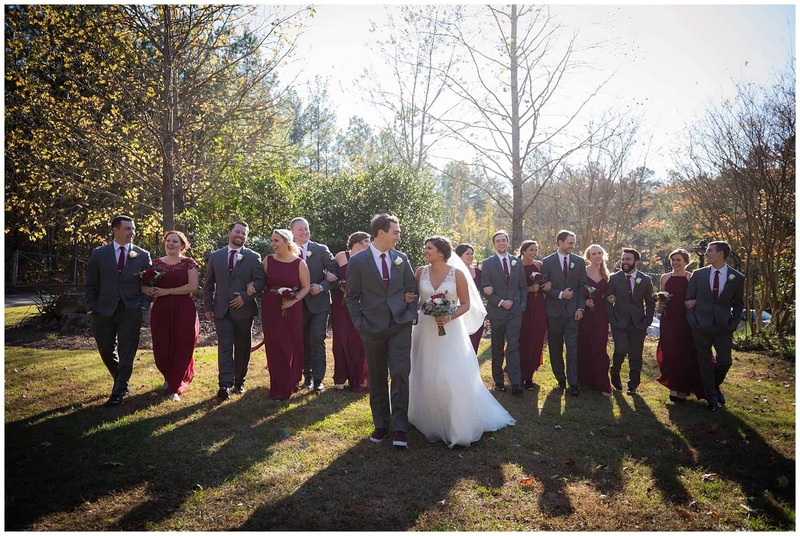 The reception looked great too with a rustic centerpiece and burgundy runners. 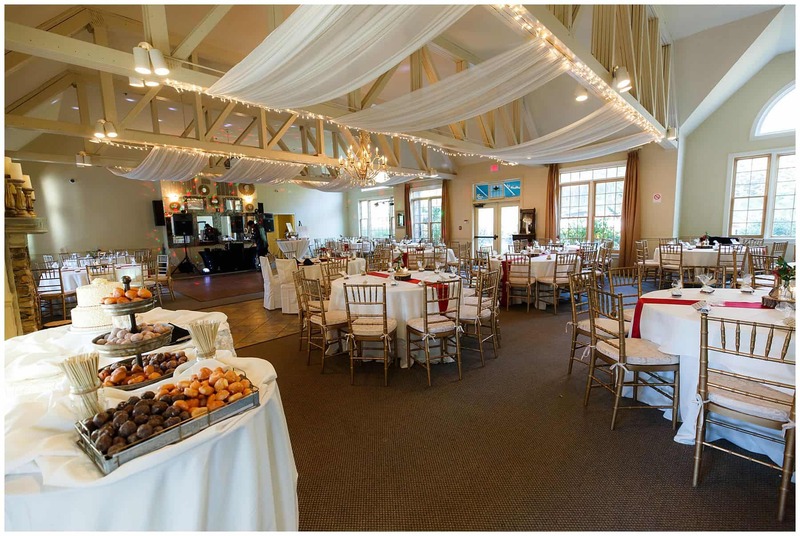 They had wedding cake and donuts at the reception – donuts are always a huge hit! 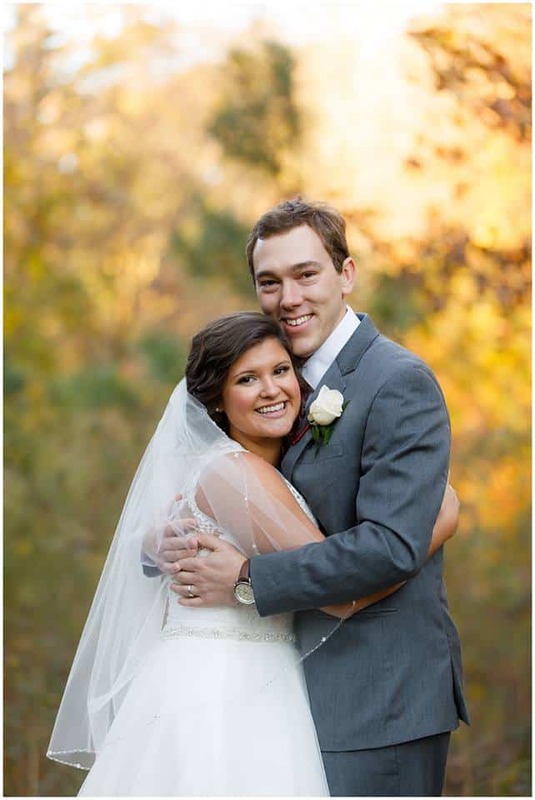 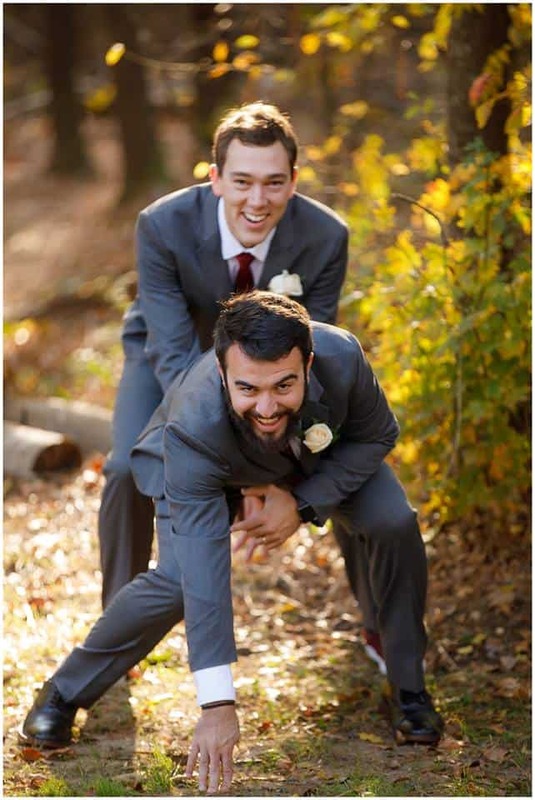 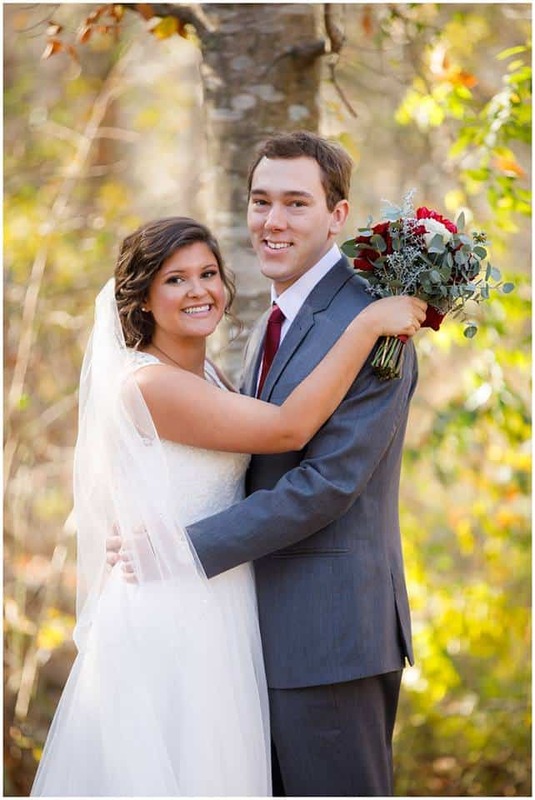 It was such a beautiful wedding for these two!